Hi, my name is Gabriella Murray (I was named for the angel, Gabriel), but my mom just calls me “Gabby.” I love Christmas because that is when me and my siblings were found in a box, beside the road. We all got new homes, but mine is the BEST! One of my mom’s students brought me to her at Christmas time. She fell in love with me instantly! (Look at this adorable face …how could she not fall in love with me?) 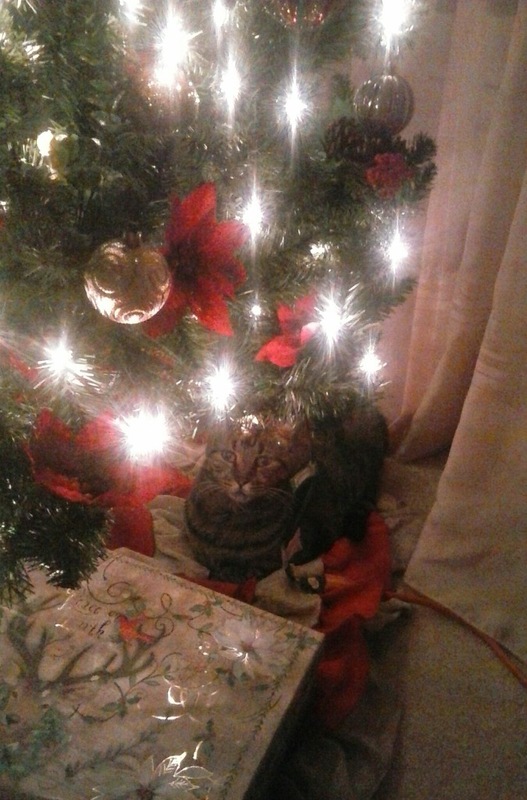 This is me under the Christmas tree. I like to pretend I am in the forest. 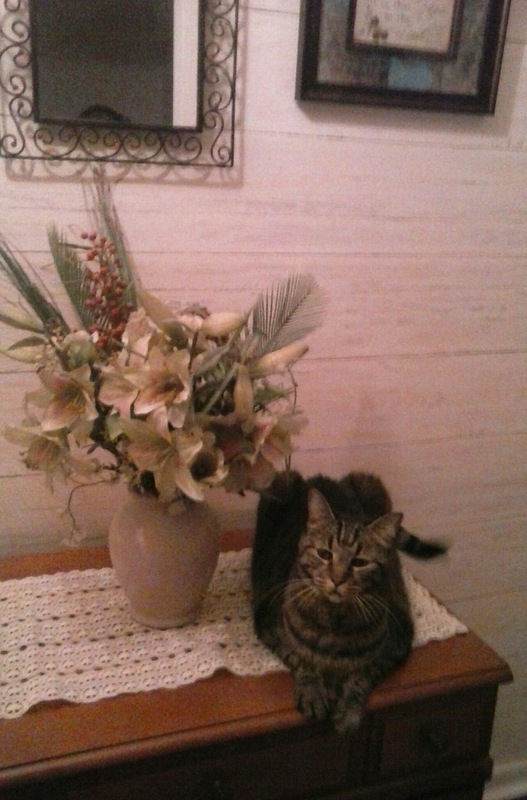 I am the “hostess with the mostess” and I love to sit in the foyer and greet people, when they come to MY house. I do tell them, that I am just for looks only …no touchy hands, please. I am super soft and have a luxurious coat and prefer to only have my momma pet and comb me. (I get a combing every day.) My job is just to look fabulous for visitors. I am very talkative, so I may give you a big “MEOW” to welcome you. My favorite spot in the whole house, which is mine, by the way …is MY PORCH! This is me relaxing on my bed. 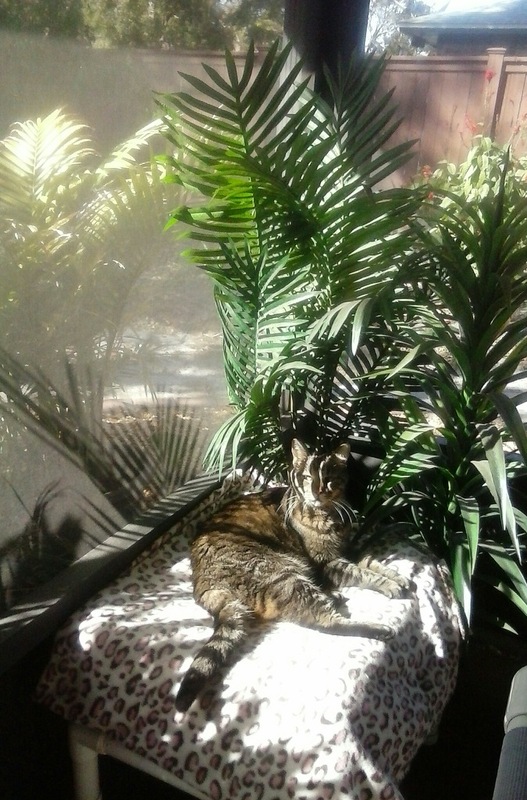 (Don’t I look like a tiger in the jungle?) I like to watch the squirrels and birds, as they parade by my perch. (I’m quiet, so they don’t know I am there…if they only knew…lol). My mom always puts some delicious, cold water on the porch for me. I get thirsty watching all of the critters. Sometimes, she gives me treats too…I LOVE treats! Hard to believe I started out in a box by the road…now I am living the lifestyle of the rich and famous. Being a kitty is the best…so is my momma!